Cleaning gutters are high-risk work. The cleaning process is carried out above the ground, at heights that could cause injury if someone falls. 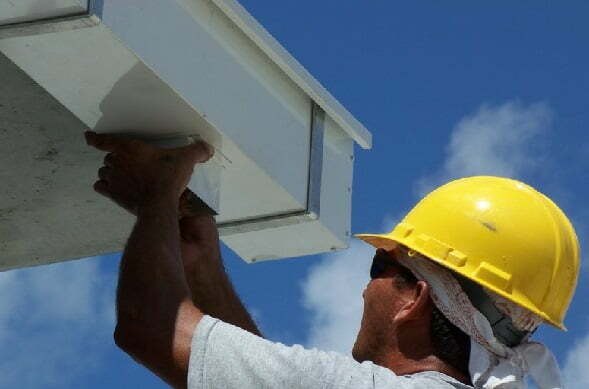 When you hire professionals to carry out gutter vac and cleaning, you want them to have insurance. The liability should be for the professionals, not to the client. At the same time, you want to make sure all the paperwork is in order. You want everything ready to go before anything starts. You also don’t want work teams carrying out work without the right licenses or permits. Fear not, because we at Spotless Gutter Cleaning take safety seriously. All of our teams come equipped with one safety harness kit each, along with spares. These are meant to reduce the risk of injury. At the same time, like Peter James and others, we make sure that everyone on staff has updated credentials. We check that their training is up to date, teach them how to use their tools, and make sure that they have all the correct certificates. Whenever we do any work, we make sure that all the correct paperwork is filed. We’ll take care of any permits and paperwork. We adhere to all Australian work safety standards. Our safety gear has been tested to meet Australian and international standards of quality. Finally, all of our workers are insured. We take on the liability if any of them is injured on the job, rather than pass it on to the client. This mindset is also the reason we insist on clearing out the work area before we start, minimising potential risks.